A study in the journal Science by the University of Queensland, Wildlife Conservation Society (WCS), and University of Northern British Columbia confirms that one third of the world's protected areas—an astonishing 2.3 million square miles or twice the size of the state of Alaska—are now under intense human pressure including road building, grazing, and urbanization. The study is a reality check for nations striving to meet commitments under the Convention on Biological Diversity (CBD) to halt biodiversity loss through protected area creation. Since 1992, the global extent of protected areas has roughly doubled in size; more than 202,000 cover more than 15 percent of the world's terrestrial area, with a goal of at least 17 percent coverage by 2020. The authors looked at global "Human Footprint" maps to make their assessment which shows that 32.8 percent of protected land is highly degraded. For protected areas created before the CBD was ratified 1992, 55 percent have since experienced human pressure increases. The authors warn that CBD goals will be severely undermined if widespread human pressure continues inside protected areas. Said the paper's lead author, Kendall Jones of University of Queensland: "A well-run protected area network is essential in saving species. If we allow our protected area network to be degraded there is a no doubt biodiversity losses will be exacerbated." The study shows that governments are overestimating the space available for nature inside protected areas. Governments are claiming these places are protected for the sake of nature when in reality they aren't. It is a major reason why biodiversity is still in catastrophic decline, despite more and more land being 'protected'. 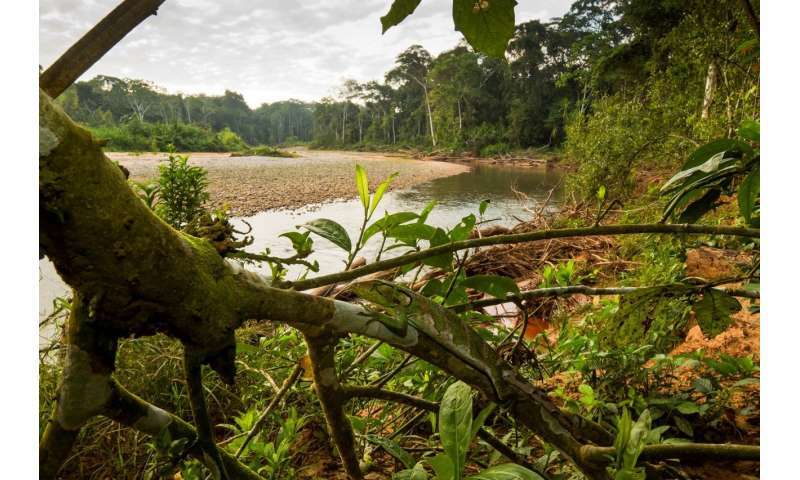 Some of these least impacted protected areas include Keo Seima Wildlife Sanctuary in Cambodia, Madidi National Park in Bolivia, and Yasuni Biosphere Reserve in Ecuador—places where WCS has made considerable conservation investments and therefore has successfully staved off degradation. Said Professor James Watson of WCS and University of Queensland, and the study's senior author: "We know protected areas work—when well-funded, well-managed and well placed, they are extremely effective in halting the threats that cause biodiversity loss and ensure species return from the brink of extinction. There are also many protected areas that are still in good condition and protect the last strongholds of endangered species worldwide. The challenge is to improve the management of those protected areas that are most valuable for nature conservation to ensure they safeguard it." Protected areas are at the core of WCS's conservation strategy, as these are areas that are most effective at protecting natural ecosystems and their complement of biodiversity and ecosystem services—over 80 percent of WCS's site-based field work takes place within or around protected areas. When well-managed (through sound enforcement, monitoring, clear boundaries) and funded appropriately, protected areas are effective in reducing the loss of natural habitat, and sustaining wildlife populations. Said Watson: "Most importantly we've got to recognize that these jewels in the crown need support- there are some protected areas that are safeguarding nature and that still haven't got any evidence of human encroachment in them. We must ensure these values are maintained."